The cup works but the monitor doesn't display. I tried changing VGA cable and the monitor too but did not get success for the display. I can access the computer on the network through remote desktop. And finally I restored it to the back-date of 5 days. After that, I can't even access it from remote. I can ping that PC. If you notice that your CPU fan is running but there is no display in the screen, remove the RAM from the slot, clean it and place it back properly or try another slot. Check your RAM also. Even bad RAM will result in display problem. If you are having two RAMs then remove it, place only one RAM and check the display. If you failed to get any display then change the slot. If you still failed to get the display then try the above procedure with the other RAM. I added a different RAM and it worked! Thank you for the tip! "2 blinks followed by a short pause, 1 blink, long pause, then repeats", this pattern indicates "Bad Motherboard". The motherboard in the computer needs to be replaced. hello again, I try to reset CMOS setting by remove for 30 mins. then when I plug the power cable the fan start automatically as always but it continue restarting for several times by itself b4 I press start button. i shut the PC down forcefully and try to start I gain for few times, but finally the PC stop start (like dead) the fan also stop. only the power on button blinks red light. even after I remove the power cable, the red light blinks for around 30 sec. and when I touch some external part of the PC it has a little shock. 1)Regarding the little shock, click on the below hyperlink "Grounding". You can find all the information. 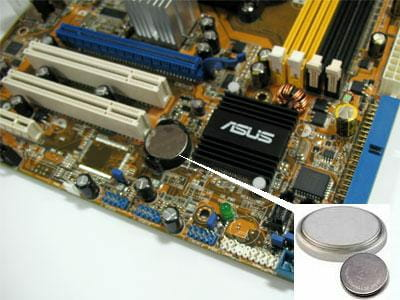 2) Remove all the connections from the motherboard, remove all the dust from it and make sure that there is no dust underneath of motherboard also. Then connect your connections. hi again, I tried all u said but still doesn't work. I used 3 different RAMs on all 4 slots one by one (by the way the PC is Dell Optiplex 7010) even I plug the jumper but no response. The OptiPlex 7010 supports either integrated graphics or add-in graphics card. What is the graphics option in your machine? If you have add-in graphics card, please try to re-seat the video card and check if you can obtain video on the screen. Refer to the Service Manual for Safety Instructions and removal steps. You have mentioned that the Power button is blinking red, this indicates a failure condition indeed. The power LED always blinks in a pattern. The pattern is 2 or 3 blinks followed by a short pause then X number of blinks up to 7. The repeated pattern has a long pause inserted in the middle. Example 2, 3 = 2 amber blinks, short pause, 3 amber blinks followed by long pause then repeats. Please reply with the exact pattern that you observe. thanks all for everything, I send the PC to supplier for further service bcoz there is 1 yr guarantee. Try to reset your CMOS settings. Turn off your PC and remove the power chord --> Open the cabinet --> Remove the CMOS battery for 15-30 minutes and then put it back properly. Now plug the power cord back in and switch ON your PC. If the problem still exist, click on the below link and follow the instructions in "Hardware Reset".